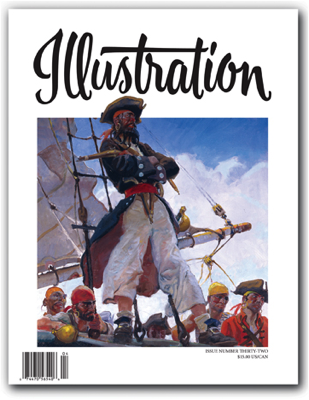 In this Issue: Illustrator Herbert Morton Stoops, famous for his numerous covers for Blue Book magazine. Next up we feature Ed Balcourt, illustrator and artists' representative, who reminisced with us about his days in the paperback field of the 1950s. Our last feature focuses on the artists of the Alfred Hitchcock and The Three Investigators book series, popular with children and young adults from the 1960s to today. 112 pages in full color. Sold out.